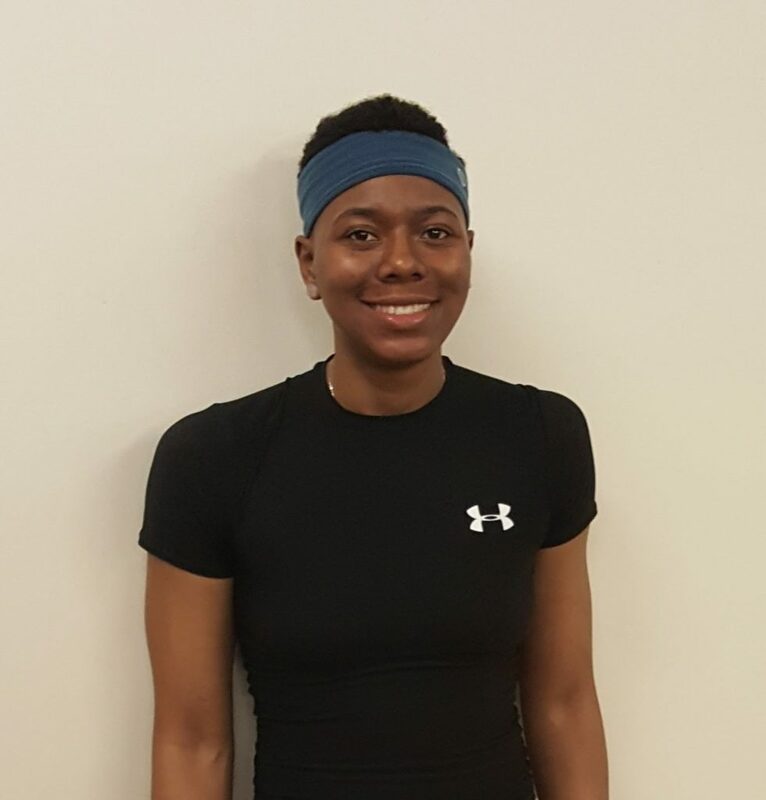 Meet Briona Jones, 29, doctoral candidate in English at Michigan State University and former Division I basketball player. Briona’s story is so moving and her reflections so articulate, we decided to share them in multiple blog posts! 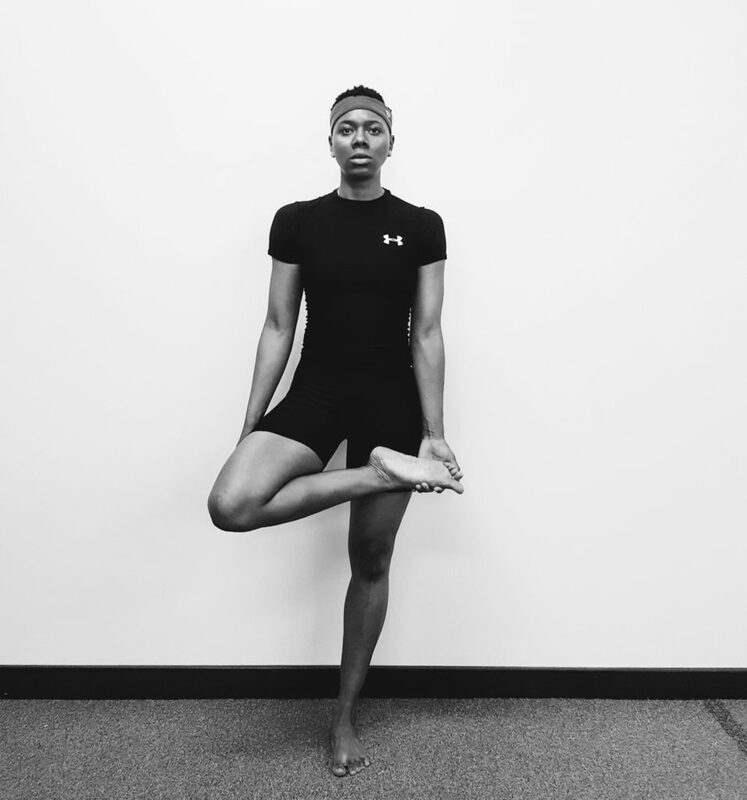 Here is Part I, which focuses mostly on the physical benefits Briona has created with her practice. I was born with rickets, so as a child I was able to walk, but I wasn’t able to run. I was also prone to dislocation of my knees. Corrective surgery is usually needed for those types of situations, but my legs got better without it. My mom would take me out in the sun a lot and gave me vitamins. I started playing basketball in middle school (around 2002), and in 2006 I had a bad knee dislocation at a basketball tournament – my knee cap went to the back of my leg! I had surgery the following year and it went well. I played Division I basketball in college at Kennesaw State University. I ended up developing “jumpers knee”, which is a type of tendonitis of the knee. It caused a sharp pain anytime I jumped, ran, or stopped abruptly. I could not run without sharp pain. I had an MRI in 2011, which revealed three holes in the cartilage layer below my knee cap. The surgery I ended up having involved Platelet Plasma Recovery, the injection of fetal cartilage, and realignment of my kneecap! Even with surgery and physical therapy, my leg never went back to its full capacity of being a leg. At physical therapy, they ask you to rate your pain on a level of 1 to 10. Well, in 2011 and 2012, I had a pain level of 15 on a frequent basis. The swelling did eventually go down, and I continued to run, until 2015. But I would say my knee never totally recovered. Cooking most of my meals is a really important part of my life. This might seem simple, but in order to cook a meal, you have to stand, right? From 2011 until I started Bikram Yoga in 2017, my knee would swell at least 4 or 5 times a week while I was cooking dinner. The pain level would be between a 7 and a 9, and I would always need to sit down and ice my knee, just to finish preparing a meal. I never, ever expected that the pain in my body would dissipate. It just seemed like it was always going to be that way. I came to Michigan State in 2015 to enroll in the doctoral program in the Department of English. I remember that when I was working out and running, I would still have intense swelling in my knee. My previous normal running distance would be five miles, easily, but at this point I could barely run two miles. I was frustrated, so I stopped running. My physical therapists here suggested that I try biking. In September 2017, I had an MRI; it confirmed that I had arthritis and tendonitis. I tried going to physical therapy here at MSU, but it was $15 a session, and they wanted me to come 3 times per week. I really could not afford that, the recovery was not going to be fast enough, and overall I just was not satisfied with the care. It seemed to me like it was going to end up in me having to have surgery again! In the fall of 2017, it was time for me to write my proposal and study for exams, and it was the most unstructured part of my life. It was a time where I was able to set my own schedule, and I knew I wanted a more holistic way of tending to my needs and my health. I had been meditating, but I was looking for more. I live directly behind BYCA, and one day in October, after I left my physical therapist, I thought, “I am just gonna come to Bikram”. Although I had heard of Bikram Yoga before, I had no idea of the kind of healing possibility it would have! It’s a one hundred percent healing venture. I practiced on and off for the first two months and then started practicing consistently in December 2017. In physical therapy, they always ask you to rate your pain on a scale of 1 to 10. Prior to Bikram Yoga I had pain levels of 7 to 9 most of the time. 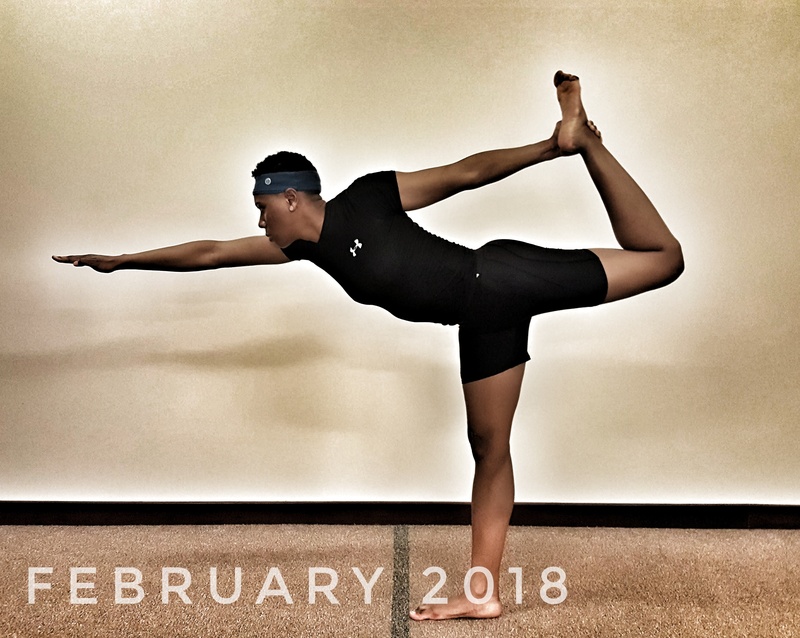 Once I started doing Bikram Yoga consistently, I had swelling only 2 to 3 times in the first four months! As of April 2018, I might occasionally have a level 2 pain. And that was it. Then, in December 2018, after only a year of practice, I could play basketball every week with no pain. It is amazing! 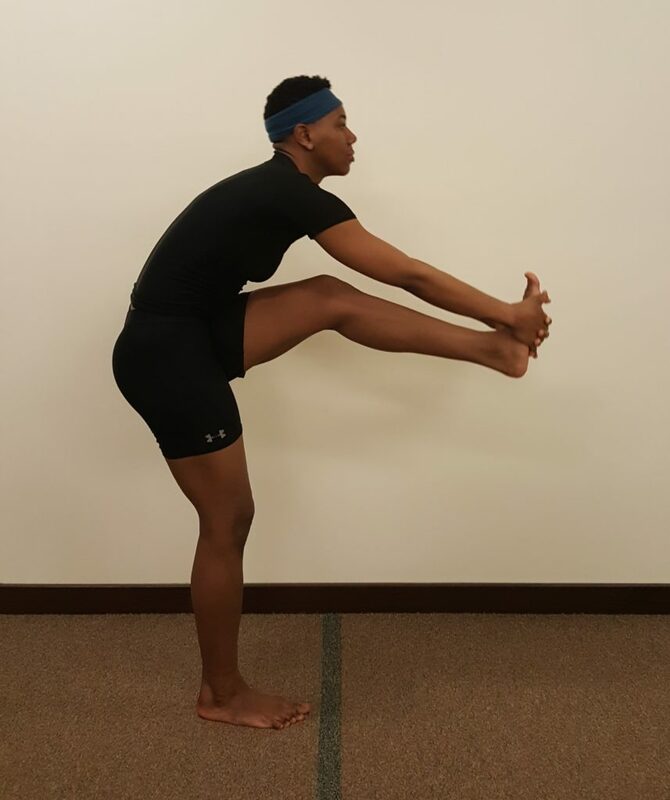 It seems like what physical therapy is trying to do is similar to Bikram Yoga. Since practicing yoga regularly, I have felt the contraction of the knees and thighs, and noticed how my quadriceps have developed without any weights. I should also point out that I am asthmatic. During my first few Bikram Yoga classes, I couldn’t breathe well. But by four or five classes in, I was able to breathe and keep up with the group. And before that – throughout my life – I had worked out a lot! Stay tuned for many more aspects of Briona’s healing experiences… Part II, coming soon!